All of us are constantly pulsing with life force. It enlivens us and is the substance and divine design for our physical being. Though universal in nature, this life force takes a distinct and exquisite form in each one of us. There are subtle energy fields that flow through all living things, and vibrate with information. As a certified Master Energy Intuitive who works within the light of Divine Love and is guided by the Archangels I can look, listen to, receive visual impressions, feel your energy fields and tune into your chakras. This allows me to gather and interpret information about your whole being. Using this information, I can facilitate a shift in your energy field. I believe that everyone has their own inner healer and I serve as a guide to help you reconnect with yourself on all levels. As an energy healer I work with this vital energy to support you in moving toward greater health and well-being. What can you expect at an energy therapy session? Energy therapy is received fully clothed while the client lies on a warm and comfortable massage table in a state of rest. I place my hands upon or near the client, serving as a channel for Universal Life Force Energy, allowing the energy to flow wherever it is needed. There is no manipulation or intrusion of the body. A session last approximately one hour. The number of sessions depends on the core cause of the problem and the guidance that is received for each individual client. What does an energy therapy session feel like? My clients over the years have reported varying experiences. Each session is as unique as each individual with no two sessions ever being the same. Some common experiences are feeling surrounded by a soothing warmth or cool breeze that penetrates their entire body. Others have reported feeling tingling or waves of movement, deep peace, comfort and spiritual awakenings. Many clients feel so relaxed that they fall asleep and find themselves calm and balanced, yet energized and alert after their sessions. Who can benefit from having an energy therapy session? Because energy therapy is non-invasive and compliments other forms of health care anyone, at any age, can benefit from energy therapy. It will only enhance the healing and wholeness process of each person. Working hand in hand with the Angelic Realm, and the Ascended Master collective, Angel Light Reiki offers a profound system of healing and consciousness expansion. 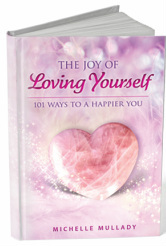 It is a powerful means of personal development, transformation and preparation for enlightenment. My "Angel Light Reiki" combines the ancient and sacred art of Usui, Kundalini, and Karuna Reiki with the loving energy of the Angels which enables a deeply meditative and healing experience for body, mind, emotions and spirit. Through a series of gentle yet powerful hand placements tension, stress, and pain melt away under the warm and nurturing touch that I offer. 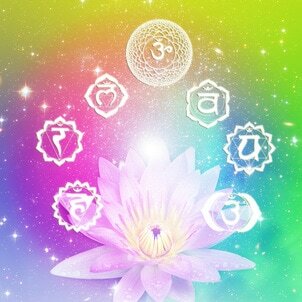 Chakras and major systems of the body are given concentrated life force energy, enhancing overall well-being. Working together with the Archangels and angels allows the energy to reach deeply into all areas which require rebalancing and healing. In this multidimensional Angel Light Reiki session, the recipient is supported to let go of physical, emotional and karmic imbalances as well as ancestral issues throughout all time and space. This simply blissful session can support overall wellness, enabling your system to function more efficiently, and bring you into a state of profound relaxation with a calm mind and serene emotions. This is a relax and 'be' session. Just let go as you receive the pure Love and tranquility of your healing angels. Investment in yourself: $95 for a 60-minute session. This service can be provided in person, via Skype phone, or as a distance healing session. Clients who commit in advance to four sessions receive a discounted rate of $360. The Sacred Healing Meditation experience is one of breathtaking peace, pure Divine Love and astonishing healing where I place my focus on your holiness, sacredness, and divinity. The practice involves gentle contact or near touch of one’s energy centers in a tender, devotional setting. It also includes Unity-based affirmative prayer and meditation elements. The intent is to amplify the natural energies of the mind/body/spirit and thus make possible greater harmony and well-being. As the facilitator, I settle into the consciousness that sees you, just as you were created, completely healed, balanced and whole. During the opening minutes of the Sacred Healing Meditation, I hold the vibration frequency of unconditional love and high regard. With your permission, I will lightly and progressively travel outward from the heart center touching the 12 key energy points on the body in a spiral movement. Then, based on your intentions, I will direct the healing energy on any other areas you request to receive special attention during the intuitive blessing portion of your session. Upon completion of the progression through the energy points, I will then rest in meditation and silent prayer with you for several minutes before beginning the "regression" outward through the 12 energy points — all the while holding you in a loving consciousness. The process takes about 60 minutes. You will be lying on your back during the entire session, fully clothed, on a comfortable massage table surrounded by beautiful music and prayer specifically created for this experience with the Divine. This service can be provided in person, via Skype, phone, or as a distance healing session. Investment in yourself: $95 for a 60-minute session. Clients who commit in advance to four sessions receive a discounted rate of $360. Holistic Aromatherapy, also referred to as Essential Oil therapy, can be defined as the art and science of utilizing naturally extracted aromatic essences from plants to harmonize and sustain the health of body, mind, emotions and spirit. It strives to unify physiological, psychological and spiritual processes to enhance an individual’s natural healing process. Single scents and blends may be available. I frequently use sweet orange, bergamont, lavender, peppermint, and eucalyptus. This service may be added, with no addition charge, to any of the sessions and packages I provide. For more information about the energy work I offer please call my office at 1-210-501-9582 or email me.